After an exhaustive hunt turned up four finalists, The University of Texas at Austin has selected Michelle Addington as the School of Architecture’s new dean. Addington replaces Interim Dean Elizabeth Danze, FAIA, who had served in the role since July 2016 following the departure of Fritz Steiner. Addington is currently the Hines Professor of Sustainable Architectural Design at the Yale School of Architecture. Educated in architecture and as an engineer, she worked at NASA’s Goddard Space Flight Center and as a manager at DuPont before teaching at Harvard and Yale. She holds degrees from Tulane and Temple universities, as well as a doctorate from the Harvard Graduate School of Design. TA web editor Alyssa Morris recently spoke to Addington about the move to Texas and the future of architectural education. Alyssa Morris: You’re trained as an engineer as well as an architect and worked for NASA and DuPont. Can you tell us about what you did for those institutions and how that has influenced your thinking on architecture? Michelle Addington: I’d say that if you could sum up the way that I am as an engineer, it’s that I really love to understand how things work. That ends up becoming quite formational for me. At NASA, I worked on unmanned crafts — satellites and small rockets — at the Goddard Space Flight Center. I had a really rare opportunity when I was there in my last year to be part of a think tank. I think that working with some of the most imaginative people in the world and the way that they asked questions was incredibly transformational for me. I was trained as a mechanical nuclear engineer. I did more of that at DuPont. I did everything from process design to power plant design, and then I was promoted up through the ranks of management, ran both quality assurance and engineering research, and then became a manufacturing manager and the manager of nylon operations for a particular kind of nylon that was manufactured in Delaware. I worked at a lot of different plants and a lot of different jobs. It was an incredible experience. At DuPont, that’s where I saw the value of seeing problems from multiple viewpoints and where I learned most of my managerial skills. DuPont had an incredible culture of respect that was necessary in order to get a job done. I don’t know if it’s still like that, but that’s what it was like when I was there. Have you ever practiced architecture? I did. I practiced some after I got my B. Arch. in Philadelphia. I practiced in a very small firm that specialized in working with composite materials. At the time, I had given up on engineering. It was in working at that firm, in doing this work in composite materials, that I realized that I still loved my engineering half. That’s what encouraged me to go to Harvard. What is the value of an interdisciplinary approach to architectural education? The School of Architecture has the whole sweep of design disciplines. All of these design disciplines, and architecture more than any of them, we consider to be inherently interdisciplinary. We may not be experts in any of these disciplines, but we’re always having to negotiate the different types of context and content. If there is any way of thinking that for the future is incredibly important to the world at large, it’s the ability to see things from multiple points of view and be comfortable with content that’s coming from radically different places. There are so many different things that we have got to negotiate and be familiar with. What a great model, not just for how we are as designers or architects, but how we should be looking at some of the world’s most important problems. Where do you see the state of sustainable architecture today and where do you think it will be headed in the future? I think it’s at an incredible crossroads. One of the reasons I’m so excited about coming to UT is that they have one of the very first programs in sustainable design. For many years, much of the approach to sustainable design was on best practices — trying to codify best practices and teach others. What we’re seeing now is that we need to make much more aggressive moves and also think beyond the idea that we deal with a sustainable product. If we’re addressing sustainability, we’re addressing it over much larger territories. We can’t think that making net zero buildings adds up to make a difference — they won’t. How will your background influence your approach to steering UTSOA? Well I think this is where the DuPont background was really valuable. I was very well trained there and had an opportunity to be fully mentored as I worked my way up through the ranks. They had an approach there that was very much one I admire in terms of increasing graciousness and a level of respect as you moved up. I learned which things had to be about consensus and which things had to be top down, as well as how to provide direction as opposed to imprinting your set of values and desires on the place. You lead for the greater good, not your own interest. Most managerial roles in academia are people who promote up from the faculty and have never had the opportunity to experience management from any other point of view. What do you think architecture schools could be doing better? I think that architecture schools in general have not fully come to grips with the concerns of a really rapidly changing world. I think we’re uniquely positioned. Look at the shift that has taken place in what is considered to be the domain of architecture. The 20th century was focused on delivering the final product at the end. With the digital turn, it became as much about the method of design as the product of design. We haven’t fully embraced what the incredible power of the method of design is going to be. It’s our methods, not as a peripheral spinoff of what we do, but the ability to map all of this different information coming in to look at boundaries that are different from domain to domain to domain and understand what those intersections are. I think fully taking responsibility for the fact that in this age of big data, we really are going to be the ones that are able to understand. 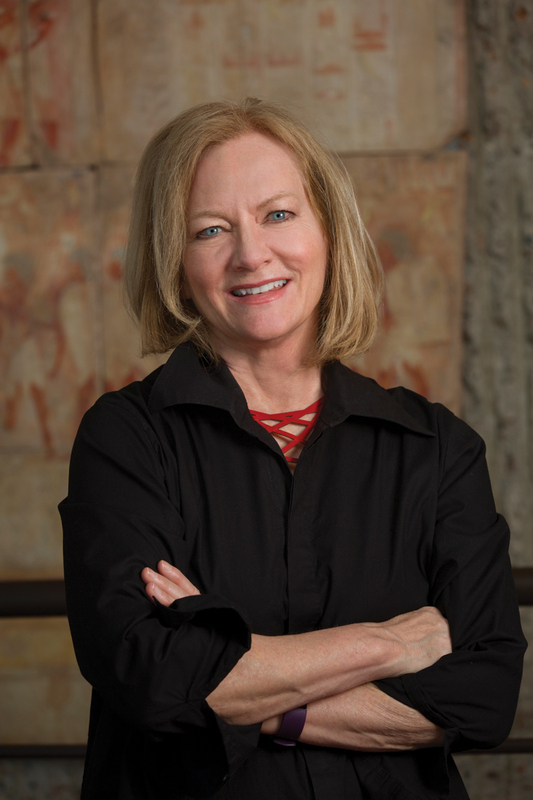 You will be UTSOA’s first female dean. How do you intend to approach the continuing lack of diversity in the profession? Elizabeth Danze is the one who should be honored with that title and not me. This is an issue, not just the issue of women, but very much the issue of underrepresented minorities in the field as well, which is unfortunate. I was really inspired by comments that Deborah Berke made when she became dean at Yale. Those that practice architecture should be representative of those that consume it. I certainly agree with her on that. If we’re going to be in this world, then we’re going to have to start having the world be in us as well. How we do it is a much more complex array, whether one begins by working with the K-12 schools or how outreach begins to happen. Two weeks ago, I was lecturing at New Jersey Tech. They have a program for high school girls to come in every Friday to the materials lab at the school of architecture where they’re working on robotics. What a great idea. We have a lot to do. Part of it is who we are and how we bring in the next generation, but part of it is in the types of issues and questions we choose to be involved with. I am incredibly excited about coming to Texas. For me, it’s a place that’s like home. I’m incredibly excited after having been at Yale School of Architecture for 11 years, which is only architecture and corporate architecture. We do a very good job of educating students who do quite well and are immensely employable. I feel as though that should be a minimum criteria. We have an obligation to every student to make sure that they can be productive, employable and — what’s beyond that — what they contribute to society at large. I’m incredibly excited about being immersed in the full set of design disciplines. The issues that the university and the school are grappling with in terms of climate change and globalization — it’s the right place to be asking those questions.